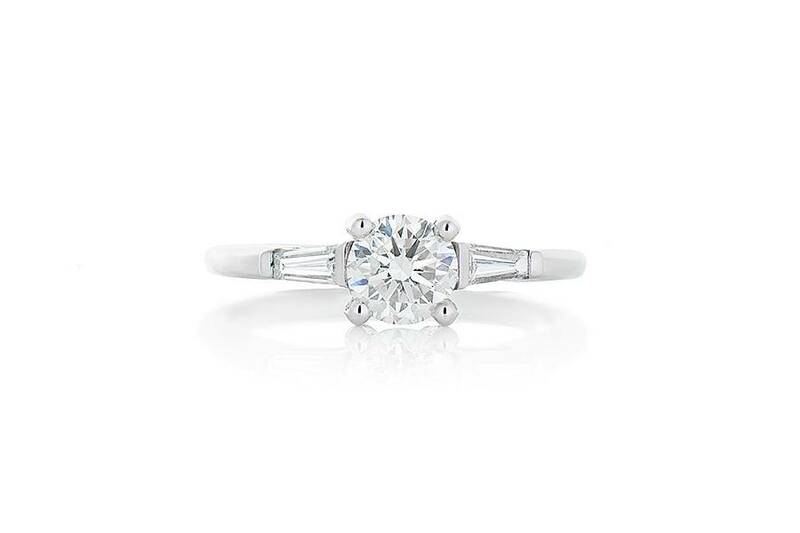 Ladies diamond trinity engagement ring of classic styling. The ring is crafted in 19k white gold and is set with one round brilliant cut diamond and two baguette cut diamonds. 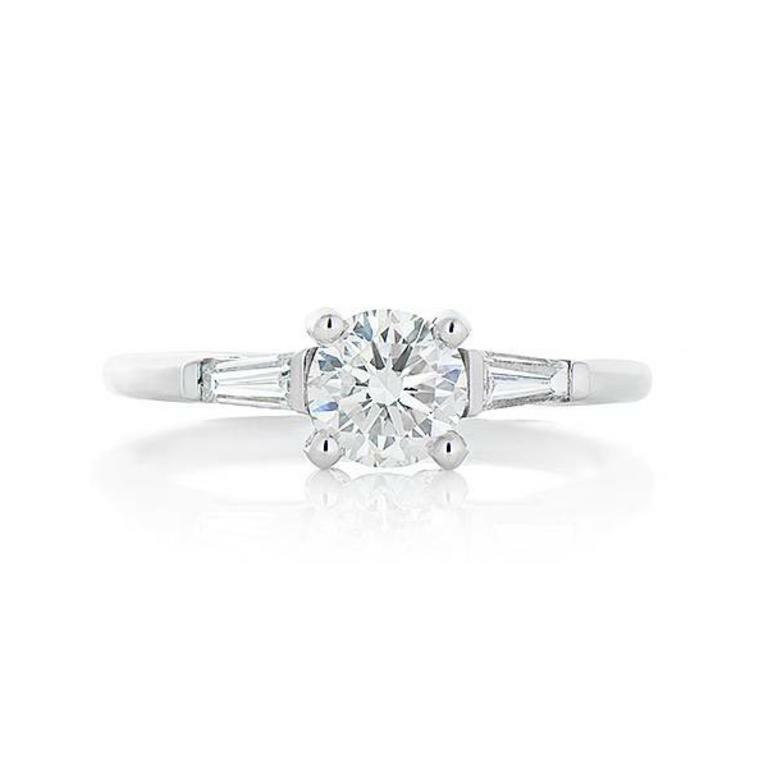 The round brilliant cut diamond at center is four-claw set in a basket style head. This diamond is also independently appraised. The two baguette cut diamonds are channel set on the shoulders. The remaining shank of the ring is semi tiffany in shape and high polish in appearance.